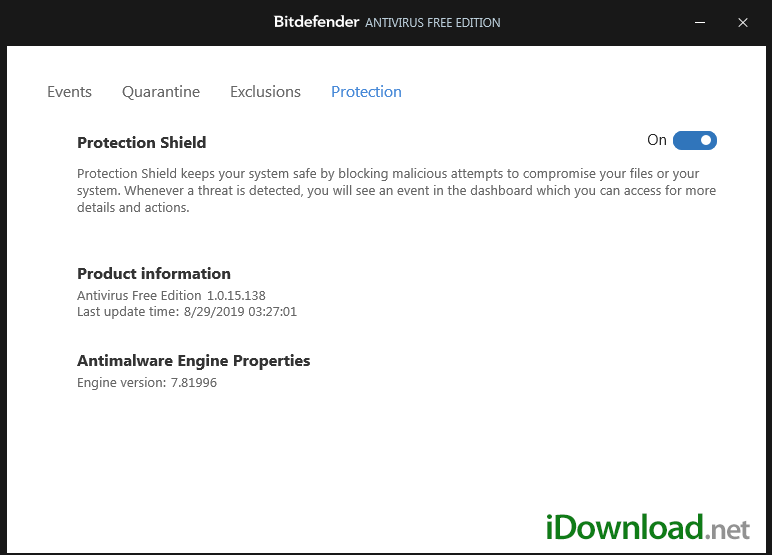 Bitdefender Antivirus Free Edition provides real-time and proactive protection against viruses, rootkits, trojans, malware, etc. This antivirus software ran very well on my computer using very little system resources. Once installed, you will notice that there are only a few settings that you could configure. It basically has the Virus Shield and Auto Scan settings that you can turn on or off. It doesn’t get easier than this to get antivirus protection on your computer. Behind the scenes, Bitdefender antivirus actively helps protect you from viruses with its real-time shield as you surf the online. Another build-in feature is the Active Virus Control which monitors programs on your computer for malicious behavior. Bitdefender also scans links as you surf online using its HTTP Scan. This helps you avoid being directed to malicious websites that are spreading malware or phishing websites that want your personal and confidential information including your banking information. This free antivirus software will help to detect and block remote access software know as rootkits. Something that I find very important when choosing antivirus protect is Early Boot Scanning which is included with this free version. This option helps protect your computer as soon as it starts by scanning for malware, viruses, etc. and blocking or removing them. There are other services that are available by signing up with Bitdefender. You simply login through the Interface. One of the services that I used and found useful is the Bitdefender Safebox. This service allows you to keep backups of your files online that you can access from home or when you are away. It was easy to setup and you get 2 GB for free. Upgrade options are available if you need more storage space. Other services that you will see once you login are Identity Theft protection, Facebook Protection, Anti-Theft and Parental Control. Some of these have limitations for the free services but they do have different price options for more features if needed. Active Virus Control – Proactive technology that quickly and accurately detects potential threats, even in cases of new viruses for which there is no default protection released yet. Anti-rootkit – Rootkits are a type of stealth software, often malicious, that can help hackers get control of your computer. 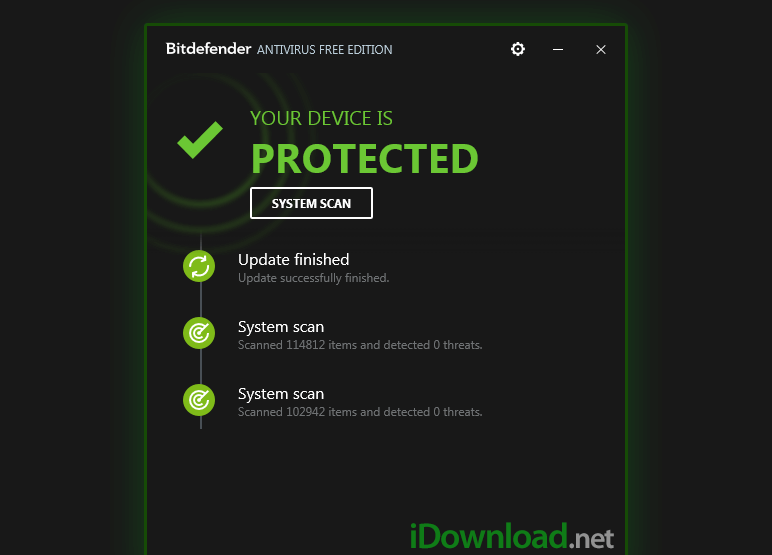 Bitdefender Antivirus Free Edition uses special technology that detects and blocks such malicious software. HTTP Scanning – Protects you from scams such as credit card phishing attempts, Bitdefender Antivirus Free Edition scans all the links you access from your browser and blocks them when they prove to be unsafe. B-Have – Proactively detects unknown threats that other products miss, by analyzing how apps behave in a safe environment. If no malicious actions are detected, B-Have starts the program normally. Otherwise, it will automatically quarantine or delete it.